The next step in our 52 Weeks of Health is a literal step – or rather a number of literal steps. If you are going to feel strong and healthy you must move in a way that challenges your body everyday (or at least almost every day.) That “challenge” will be different depending on your starting level of fitness. Studies show that in many people regular exercise also does the following: lowers blood sugar, increases HDL (the good “cholesterol”), fortifies the immune system, decreases cancer risk, increases bone mass (thereby decreasing risk of osteoporosis), lowers risk of diabetes, increases brain power, and gives you a more positive outlook on life. When you exercise regularly you will feel stronger, walk taller, and feel better about yourself. So let’s get moving! This week, make a commitment to either exercise for 10 minutes more than you already are or, if you are currently exercising 30 minutes per day (or more), increasing the difficulty a little by adding in intervals. The other possibility is adding in strength training or Pilates. Some of you are already working hard enough, so just keep doing what you are doing. I don’t recommend setting a goal of longer than 30 minutes unless you absolutely love whatever exercise routine you are doing. Any added benefits of the longer routine are often lost when you start to feel over-committed time-wise and those who start to feel over-committed are more likely to quit altogether rather than just decrease the time. Beginners (not currently exercising) – just make a commitment to a minimum of 10 minutes of walking every day preferably in the morning. I think mornings are best because: (1) it sets the tone for the day by helping you to feel good about yourself and (2) it leaves plenty of time later on for you to do additional exercise if you so desire (and as you get healthier that desire will come.) 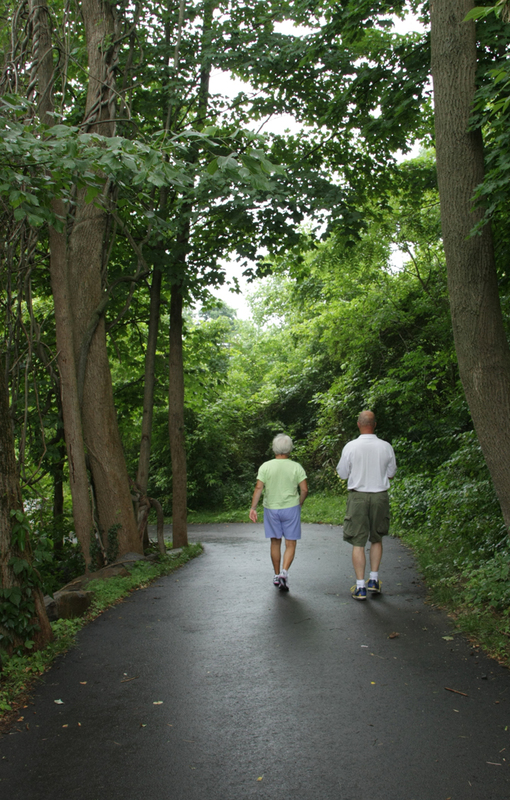 After a few weeks of developing the habit of daily walking, move on up to the advanced beginner level. Advanced beginners (currently walking 10 to 30 minutes per day) – do one of two things, either increase the time you are walking (if you are walking fewer than 30 minutes) by walking a little further (or adding a second session on later in the day), or add some intervals in to your walk. For instance, periodically lengthen or quicken your stride and get your heart pumping a bit more for 30-60 seconds then go back to your normal pace. I am a big fan of intervals; I started out doing just what I recommend here and now I’m running for my intervals. I do this for 12 – 15 minutes in the morning and I feel like I have a great start to the day. Intermediates and above – vary your exercise routine by adding in intervals (similar to above) or adding weights. During the week I will be posting suggestions for exercise alternatives for all levels. For now, make sure you are exercising at least 5 days per week. Related Post: Cardio Workouts in 20 Minutes or Less! I completely agree with your comment on doing your workout in the morning. I started doing my workouts in the morning about a year and a half ago…..what a difference to the rest of my day!!! It has taken some discipline on my part to get up earlier, but it is SO worth it! I also want to say that intervals are great! You get a lot more work done in less time, plus they really help build your stamina quickly without hours and hours on the treadmill.